Welcome to 4 Minutes First Aid Training. 2017 was a big year for 4 Minutes, so this Post is an introduction to us, an update for those that know us already and a few hints as to where we might be heading in 2018 and beyond. 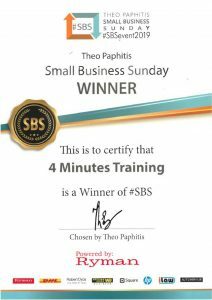 4 Minutes is a National First Aid Training Company, based in Berkshire just outside London. We use a Network of Trainers to deliver First Aid courses across the UK. The two Directors are Andy Crowhurst, who has been carrying out and teaching First Aid since the 1980’s and Cheryl Mathews, a volunteer Community Responder and co-ordinator for the Maidenhead Community First Responder (CFR) Group within South Central Ambulance Service. In 2017 we bought the National School of First Aid Training, another National Company based just North of Glasgow and have used it to radically expand our client base and coverage. We offer friendly, hands-on courses at attractive prices and try and use trainers that have hands-on experience behind them rather than someone that just knows how to click on the next Powerpoint slide. 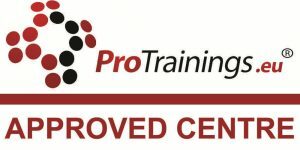 Our current focus is on First Aid Training, although a lot of our trainers have other skills as well (Health and Safety, Food preparation etc) so do feel free to ask us about these and in due course, they should start appearing on this website as well. Do sign up to our Newsletter. We don’t sent it out more than once a month, you can always unsubscribe, but it contains updates to First Aid protocols, course dates, First Aid in the news and other snippets and offers that we hope you find interesting. I try and keep these Blog Posts bitesize, so will sign off for now, but do feel free to contact me directly on the number above or via email should you have any questions.